How Can You Prevent Termites? Termite prevention is an important undertaking for homeowners to ensure that termites do not cause any damage to property. 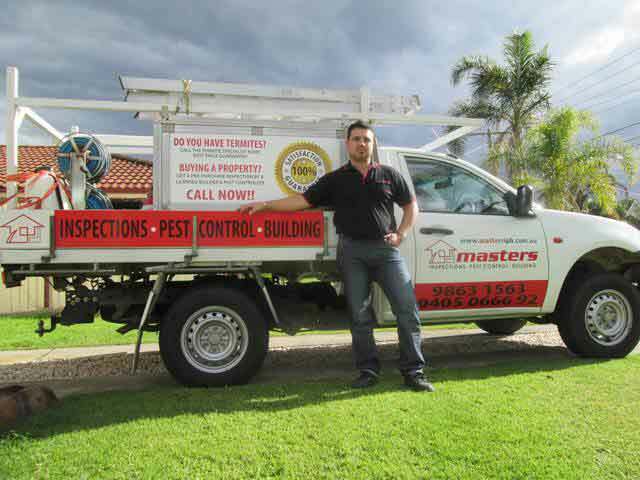 If you are in search of termite control experts, contact Masters Pest Control on (02) 8007 4666 today. We implement effective termite prevention measures to avoid any termite infestation and termite damage on your property. Get the best value on building & pest inspection and termite control Sydney Wide. We price match any comparable quote. Schedule a pest control service today! 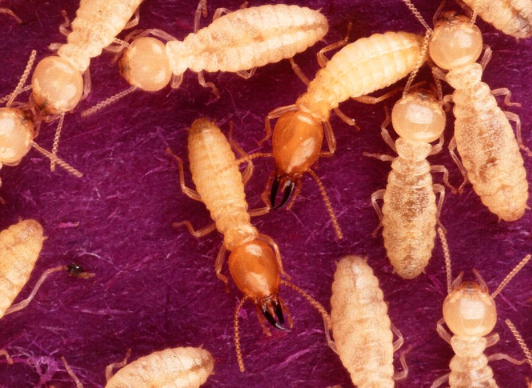 Termites are despised by homeowners because they can cause major damage to properties. Here are some termite prevention tips from our expert pest controllers in Sydney. Termites are attracted to moisture. To deal with termites, it’s important to remove sources of moisture around your property. Make sure to fix any water leaks or plumbing problems. Conduct regular check and seal off leaks to prevent moisture from encouraging termite infestation. Check your furniture regularly for any signs of termites. These bugs feed on wood and can infest your furniture without you noticing. It is important to prevent termites from infesting your furniture since they can easily spread to other parts of your home. Look for telltale signs such as holes and cracks in the wood. Your lawn is a perfect nesting place for termites. To best deal with termites, the first step is to inspect your lawn. If you see signs of termites, do not take matters into your own hands. Get in touch with pest control experts who can help with subterranean termites without causing damage to your lawn. Hire the masters of pest control to get rid of termites. We recommend that you work with a pest control team. Experts can help you assess and inspect your property for any signs of termites. They know how to handle dangerous pest control chemicals and implement the correct termite control in Sydney. Not only will get you get a lasting solution, you also ensure the safety of your loved ones from harmful pest control chemicals. Consult the masters to help you prevent any termite infestations. The diet and behaviour of termites depends on the species. Most people have a perception that termites are small ant-like creatures that feed on wood. While this is true to some extent, they are bigger than ants and feed on more than just wood. The typical diet of an average termite is the cellulose found in wood fibre. Some species of termites like the Formosan, love to invade soil and create mud tunnels. These ‘tunnels’ serve as their nest. Just like honey bees, termites also have a queen that they follow. The queen can lay up to 1,000 eggs per day. When certain termites develop wings and are released from the colonies, they go on to establishing new ones. Nowadays, most of us tend to opt for more eco-friendly pest control techniques for almost anything that we do. However, when it comes to stopping termites, time is not on your side. There is no one out there who would like to see their house damaged to such a great extent that it needs major repairs. Therefore it is crucial to ensure the best termite prevention treatment is in place to protect your home. An annual termite inspection conducted by a reliable pest manager is also recommended to ensure that your property stays pest-free. Termite bait is a versatile termite treatment method that can be installed outside of your property. Since wood is known to attract termites, these systems have a wooden base. When the termite approaches the wood, a poisonous lace replaces it which the insect proceeds to feast on. After that, the termite carries the poisonous food to the whole colony. This is a great device that can be found in many stores. This is one of the most economical ways of getting rid of termites home. It uses different termite products such as Termidor as a termite barrier. Fripnoil is an active substance that can be found in Termidor. It acts by attracting the termites to itself and then once they have entered the affected area they die off slowly. One of the things that you have to do as part of your termite control campaign is to have yearly termite inspections carried out by a professional pest controller. You have to monitor your property and thoroughly check for any signs of damage that have occurred. As with any other living species, water is essential for the survival of termites. Because of this, you have to make sure that there are no leaks either in or around your house. Regular maintenance of your home through termite inspections will reduce the risk of termite infestation. Make sure that you do regular checks on all of the plumbing and also replace any old washers. Paying attention and getting rid of any leaks and drips will remove favourable termite habitats. Another thing that you should take care of is to regularly clean your gutter and drain pipes so that there is no standing water anywhere near your home at any point. It is worth noting that building a home using termite-resistant woods such as cedar, redwood and juniper will prevent pest infestations including termites. These are just some of the many methods that you can try so that you can protect your home from infestations. Follow these measures and you will keep your home safe for many years to come. For a reliable termite treatment and prevention services, call (02) 8007 4666 and get a FREE advice.